Nobody wants to share their home with rodents they didn't purchase at the pet store. Rodents can cause serious damage to your home, and they may also spread various diseases. 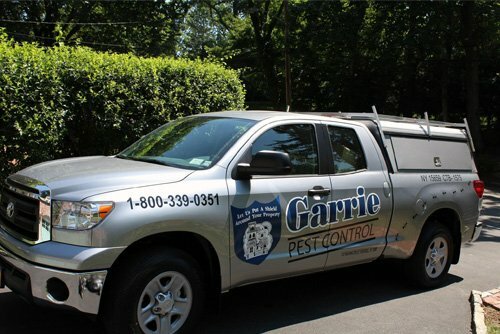 Garrie Pest Control would like to offer you a free estimate for the rodent control services that we provide! Our specialized pest control abatement programs are designed to help keep rodents from causing damage as well as contamination within and around your home. Allow our highly trained and professional technicians to provide you with the most important information regarding the proper treatments and control of rodents. Description: This species has a medium to dark brown colored backs and their under bellies and feet are white. They are rather large, with their bodies from 2.5in to 4 in long and their tail being another 2in to 5in long. 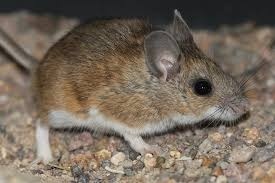 The deer mouse has larger eyes, ears and body than the house mouse. Habits: Active year round, constructing nests in hollow areas. Although this species is not as prominent in residential areas, they tend to look towards shelter in homes, garages, occasional campers or unused cars during the fall and winter. Once inside they have the ability to destroy furniture, furnishing, stored materials and foods. Treatment: Best treatment begins with exclusion, sealing all possible points of entry due to mice being able to fit through a hole the size of a standard pencil diameter. Once they have entered the structure, they can be effectively controlled with traps. Dead rodents and droppings should be removed immediately. 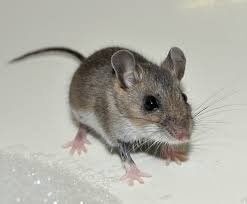 Description: The most common rodent mouse. The bodies are mostly gray in color.They are slightly smaller in comparison to the deer mouse with them being about 3in to 4in long and their tail another 3in to 4in long. Habits: They are good climbers, can jump up to a foot, and can drop 8ft down. They can fit through a hole as small as 6mm in diameter. They prefer to nest in dark secluded areas, but if an abundance of food is present they will nest within 5ft of the food. Treatment: Looking for signs of activity such as droppings and rub marks to ensure rodents are present. Sealing all possible entry points, and storing foods where they cannot be accessed is important to control and eliminate house mice. Baited and unbaited traps are important to control this rodent population, furthermore moving traps around helps improve success due to their curiosity. Description: The body is about 7in to 10in long and tail adds an extra 6in to 8in in length. They are stocky rats weighing about 7oz to 18oz. They are brown to black in color with coarse hairs. They are able to fit through 1/2in hole. Habits: Nocturnal and become cautious about changes to their environment. Outdoors, they prefer to nest in burrows, railroad track beds, near stream or river banks and next to buildings. Indoors, they prefer to nest in the lower levels and crawlspaces of buildings.These rats have the ability to cause significant structure damage. Food preferences include meats, fish, and cereals. Treatment: Proper treatment includes sanitation, elimination of shelter areas, and rodent-proofing. Stored foods should be at least a foot off the floor. Rodent abatements, installation of door sweeps and the placement of bait stations is essential in controlling or eliminating these rodents. With rats being cautious of new objects in their environment, leaving bait stations in the same place helps them to become more accepting of this change. Fact: Leptospirosis, a bacterial disease, is spread by rats through eating foods and drinking water contaminated with infected rat urine. Description: The body is about 6in to 8in long, and the tails adds an additional 7in to 10in in length. The roof rat has a small body, and weighs about 5oz to 9oz. They have soft and smooth fur that is brown in color. Habits: Nocturnal and become cautious about changes to their environment. Outdoors, they prefer to nest in trees, but occasionally they will nest in burrows or vegetation. 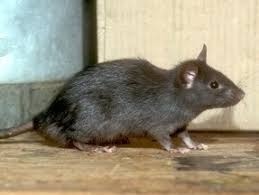 Indoors, they prefer to nest in the upper levels of building, but can occasionally nest in basements.These rats have the ability to cause significant structure damage. Food preferences include fruits, vegetables and cereals. Treatment: Proper treatment includes sanitation, elimination of shelter areas, and rodent-proofing. Stored foods should be at least a foot off the floor. Rodent abatements, installation of door sweeps and the placement of bait stations is essential in controlling or eliminating these rodents. With rats being cautious of new objects in their environment, leaving bait stations in the same place helps them to become more accepting of this change. Traps can be baited with fruits, vegetables, cereals or rodent bait. Do you wish to learn more about household pests which could be invading your home and possibly causing costly damages to the structure? Garrie Pest Control will gladly walk you through facts and details about dealing with these different types of pests. For more information about pest prevention and control, please contact us using the number listed on this site. Preventing these problems today can save you unnecessary expenses tomorrow.